STMicroelectronics N.V. (NYSE:STM) is an independent semiconductor company that designs, develops, manufactures and markets a range of semiconductor products used in a variety of microelectronic applications, including automotive products, computer peripherals, telecommunications systems, consumer products, industrial automation and control systems. 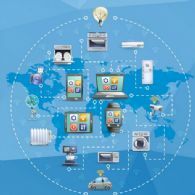 XPED Ltd (ASX:XPE) is pleased to announce that ST Microelectronics (NYSE:STM) (EPA:STM) has invited Xped to attend Embedded World 2017 to be held in Nuremberg, Germany, in March. 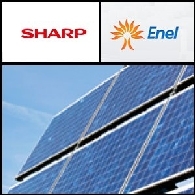 Enel Green Power & Sharp Solar Energy, a 50/50 joint venture established in July 2010 between Sharp Corporation (TYO:6753) (PINK:SHCAY) and Enel Green Power (BIT:EGPW), has built a 5 MW photovoltaic plant in Calabria, Southern Italy.